It’s the time of year that Florida’s shores seems particularly appealing. 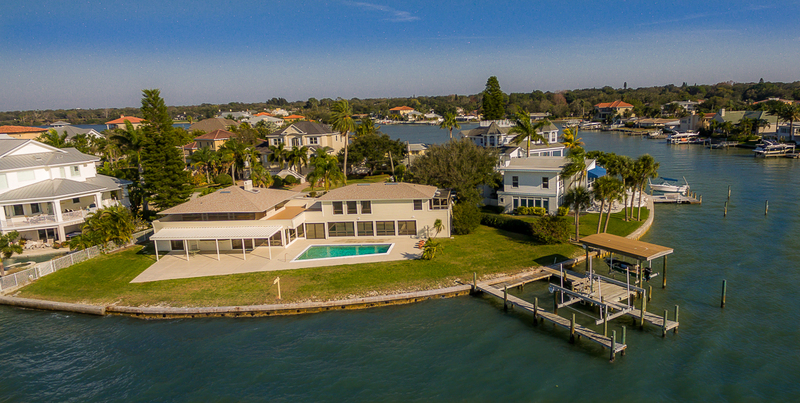 This home is in Belleair, Florida represents waterfront living at its best. 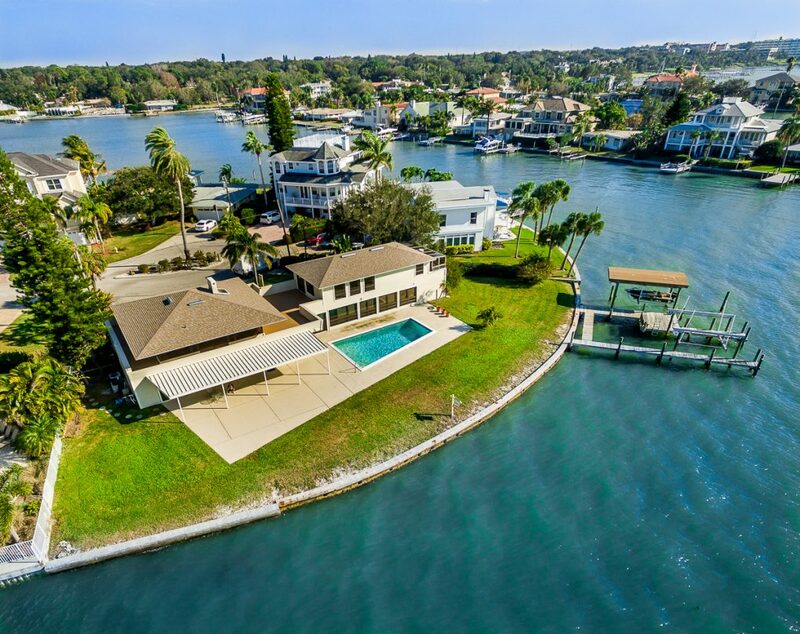 Surrounded by open water, the four bedroom home is located at the tip of exclusive North Pine Circle. The home’s modern features include a central chimney and open floor plan emphasized by the dramatic use of glass, patterned cement-bricks and natural mahogany. 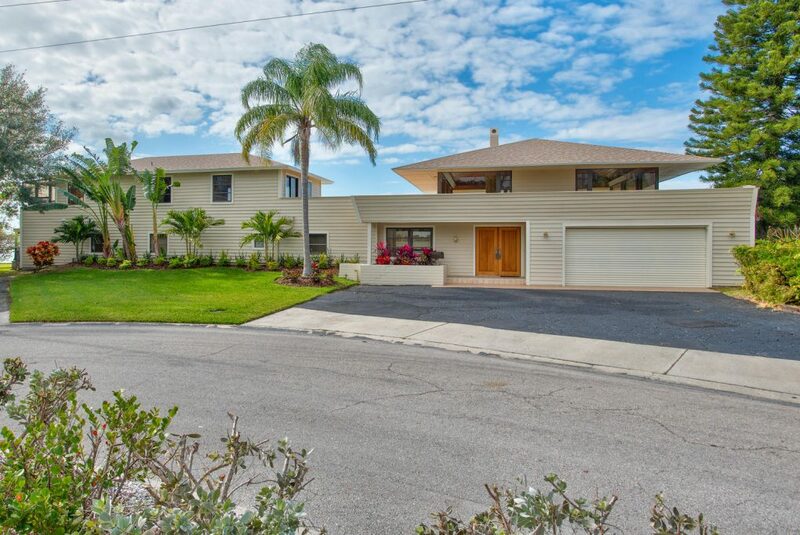 As you enter the home an open staircase leads up to the spacious family room with panoramic water views, a vaulted mahogany ceiling and an expansive 1500 square foot adjoining entertainment deck. Large glass windows face the pool and the water. The master suite includes sliding doors to the waterfront deck and greenhouse with dual vanities, oversized shower, soaking tub, and dual closets. 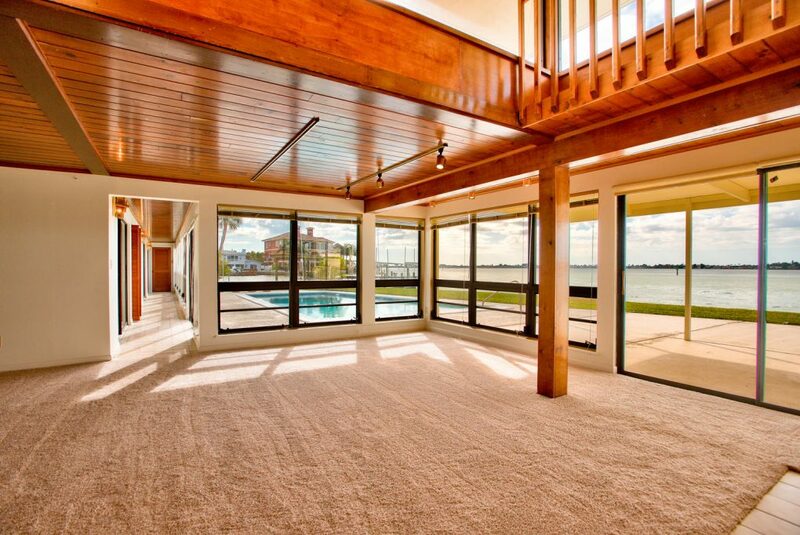 The home is ideally situated for spectacular sunsets from the West exposure which features 200 ft along the seawall with a covered boat house and an additional lift. 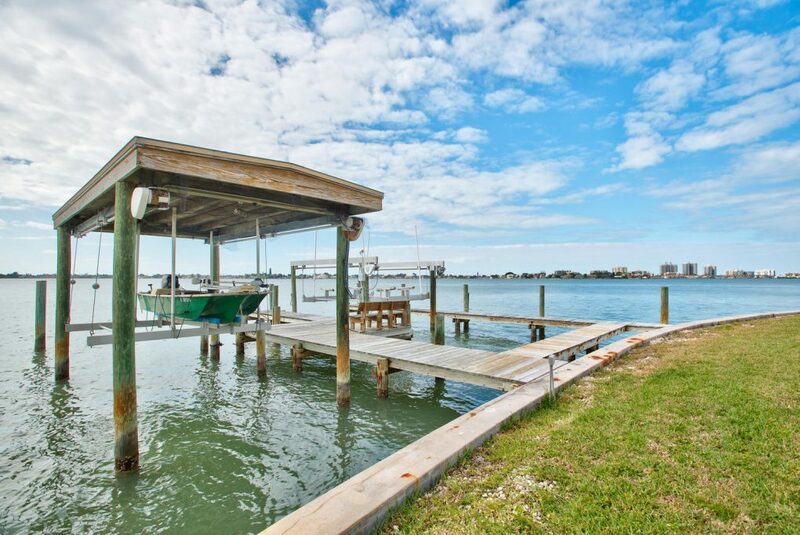 The sparkling waters of Clearwater Harbor offer swimming fishing, and even a dolphin spotting or two. This property is listed with Smith & Associates for $1.75 million and is showcased by Luxury Portfolio.